Welcome! The Little One's Christian Preschool is located at Studio One Dance Center. This beautiful facility features five clean, comfortable, fun, and inviting classrooms. We are a fully equipped dance, performing, and fine arts studio! The building is designed so students can move easily throughout the day while engaging in hands-on activities, promoting learning and discovery. The Little One's curriculum, designed by the Performing Arts Preschool Director and staff. The curriculum is finely tuned to the developmental stages of preschoolers, and nurtures analytical and creative learning. Curriculum designed for the whole child. Our preschool classes provide an engaging pathway to cognitive development in young children. In addition to strengthening hand-eye coordination and fine motor skills, students learn color, shape, number and pattern recognition. We will also practice independent work and problem solving skills. 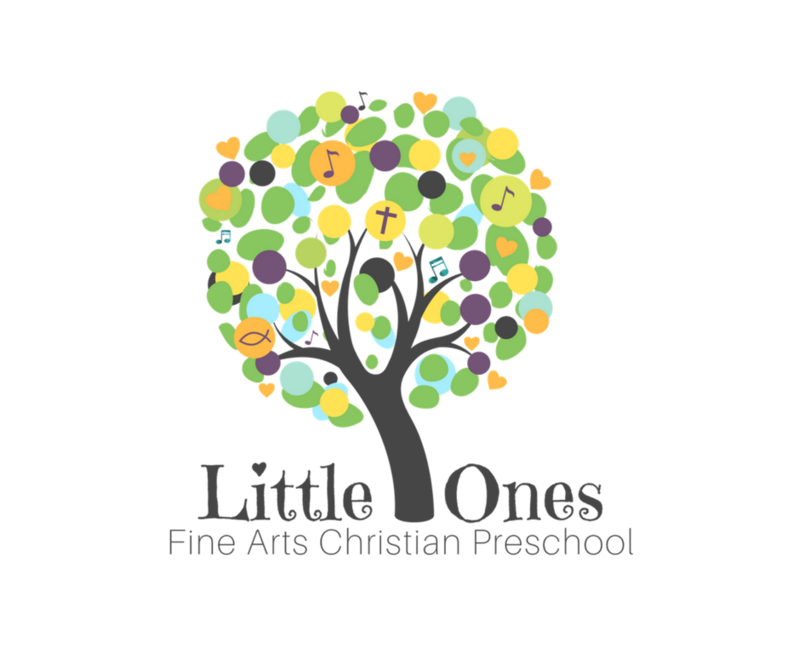 Equipped like a working performing arts studio, The Little One's Fine Arts Preschool offers children, ages 3- 5 years, the opportunity to experiment with a broad range of fellowship and art through music, props, dance, crafts, and more all while rejoicing in the Lord! ***Our Little Ones Preschool students perform in our Nutcracker Ballet and Annual Spring Recital. They will have costume fees and participation fees for both of these events. -Little Ones Preschool is a Christian program and a Bible lesson will be taught daily. -We allow for a maximum of 12 students in our preschool program. -Tuesdays our students will attend their dance class consisting of tap and ballet. -Thursdays students will attend their acrobatics (gymnastics) class. - Each child will need to bring a table ready nut free lunch and water bottle each day. Our policy is we do not warm up/microwave any meals due to potential heat spots or burn concerns. We are not responsible for the nutritional value of the meal that you provide. -Each child will need to bring a nap mat and a favorite lovey from home. -The best part of our program is your child will be able to have their activities during the day allowing your family more time to enjoy your evenings! 9:00AM-1:00PM Monday through Thursdays or email us at studioonedancenter@yahoo.com. Tours are not given on a walk-in basis nor during evening studio hours. Meet Our Program Director Monica! Monica has been dancing for 23 years! She started out in a studio dancing, where she participated in recreational classes, company classes, and competitive dance. She was an officer for her high school drill team and went on to graduate from the University of North Texas with a Bachelor of Arts in Dance. While attending the University of North Texas she began working part time job in the classroom as a dance and fitness instructor. She collaborated with children of all ages promoting proper health and fitness, as well as teaching the basics of tap, ballet and jazz! Upon graduating college, Monica moved to the classroom as a full-time pre-k teacher. She have been in the classroom for more than 7 years and helps the youth of the community grow through education and dance! Questions? Stop by or give us a call!